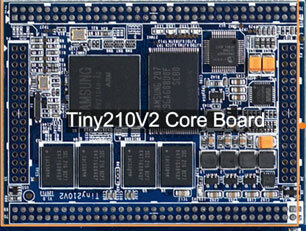 The CM-Tiny210V2 CPU board is a high-performance ARM Cortex-A8 core board. It uses the Samsung S5PV210 as the main processor, running at up to 1GHz. The integrated PowerVR SGX540 S5PV210 internal high-performance graphics engine supports smooth 3D graphics, and can handle playing 1080p video. The CM-Tiny210V2 CPU module's on-board 512M DDR2 memory can run advanced operating systems such as Android, Linux and WinCE 6. It is ideal for the development of high-end Internet-enabled devices, advertising, multimedia terminals, smart homes, high-end surveillance systems, or video game control panel devices. 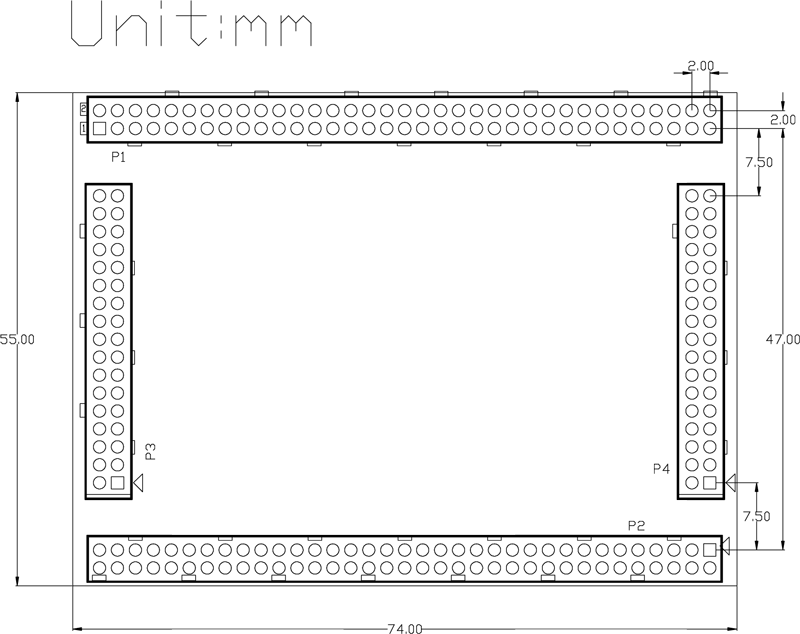 CoreWind also offers customer design service based on the CM-Tiny210V2 board according to customer’s requirement. Whether you need to reduce, add or modify to existing hardware, CoreWind will help customers with expert competence and rich experience.